First World War recruitment poster; ' Wanted - Men Munitions Money. 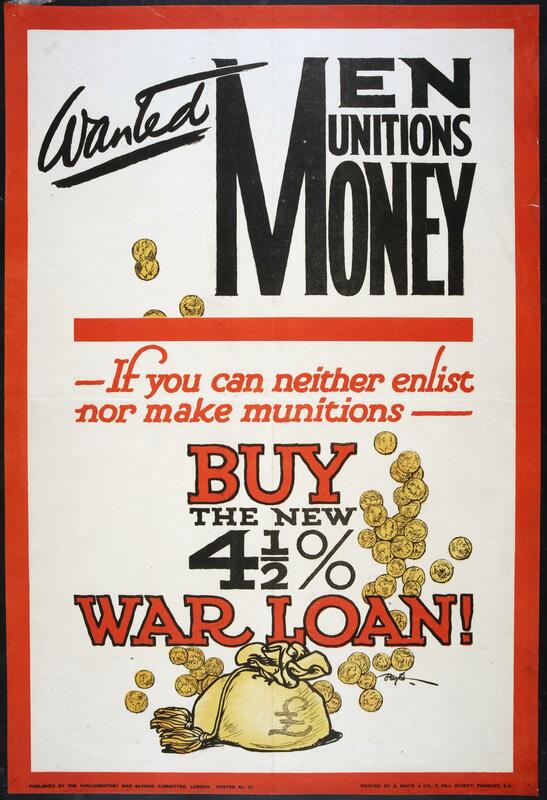 If you can neither enlist nor make munitions, buy the new 4.5% war loan!' Published by the Parliamentary War Savings Committee, London; poster no. 13.